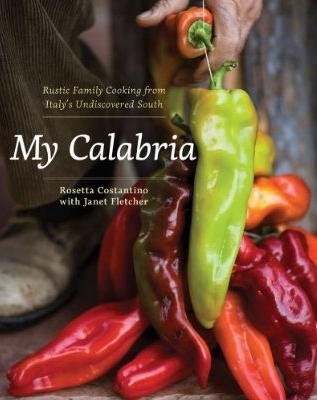 In peasant cooking, or "La Cucina Povera", minestre play a key role in peoples diets. Traditionally made with simple ingredients and predominantly vegetarian, minestre (singular "minestra") are basically soups of medium consistency. They are consist of grains, vegetables, herbs, sometimes small amounts of protein, and often thickening agent such as bread or beans, even starch water. Along the wide spectrum of minestre lies the famous Minestrone, a potpourri small sized pasta combined with beans and other veggies... You certainly know this one, but please do not think Progresso brand when you attempt visualize it. One good thing about minestre is the that are fast to make, a kind of "set and forget" meal. And today , speed was important for me, after one of the long office days. The fan club was hungry , and I had to get cracking. So the minestra was it and I came up with a Napa Cabbage Minestra. Napa cabbage is barely known in Italy. It goes by several names such as Cavolo Cinese (Chinese Cabbage), Cavolo Pechino (Peking Cabbage) and Cavolo Napa. When we used to make this soup in the winter and falls, we almost always used curly , robust curly savoy cabbage. But I wanted to experiment, and break with tradition. Conservative family members in Italy would probably shy away from this variant., but cooking is about innovation as well as tradition. Not much to making this dish. Clean and chop the cabbage,. Blanche for about 10 minutes in boiling water that has been salted. Then drain and toss in a pan with some garlic, yellow peppers, EVOO , S/P and continue cooking until the cabbage has tenderized. Toss in a few potatoes if want, to force a little more thickness into the dish . Now if I used had some andouille sausage to really kick it up a notcha. Would that have resulted in a Chinese, Italian and Cajun inspired dish ?